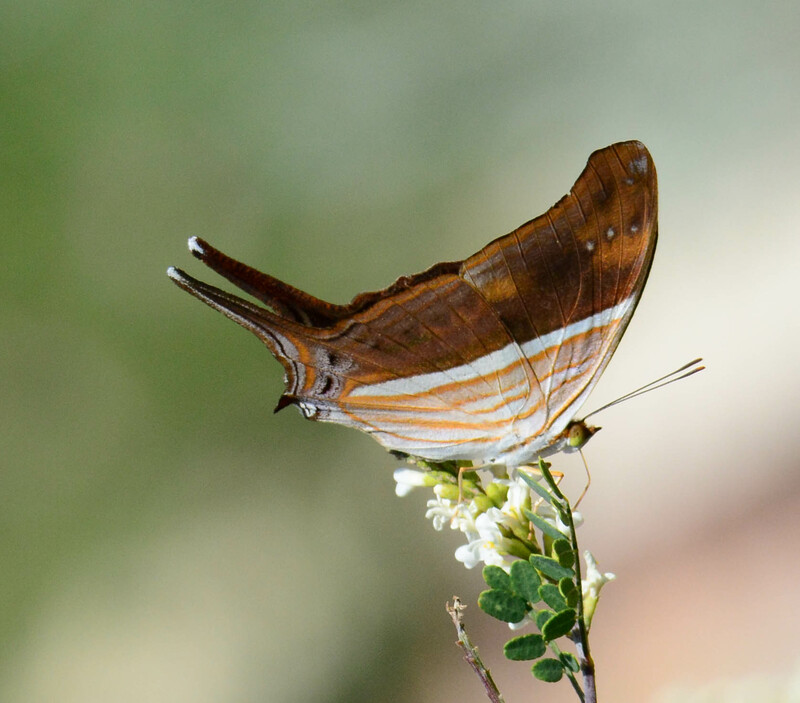 Identification: Hindwing has a long dagger-like tail. 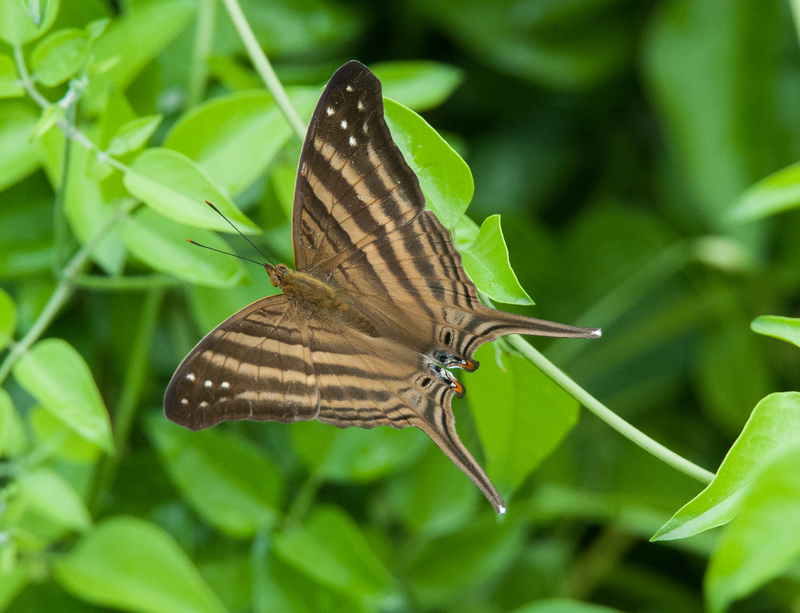 Upperside is dark brown with 3 pale brown stripes and 3 white spots near the tip of the forewing. 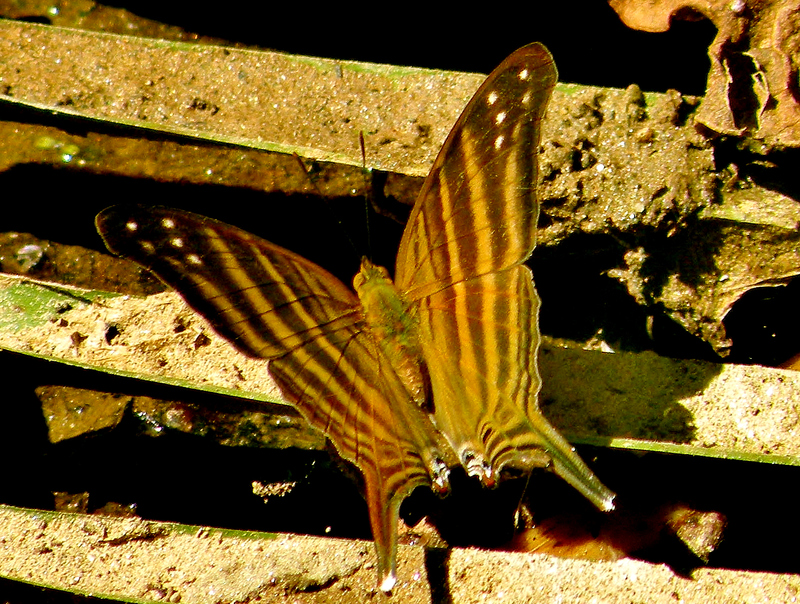 Underside is light brown; basal half is gray with thin orange stripes. Wing Span: 2 1/8 - 2 5/8 inches (5.4 - 6.7 cm). Life History: Eggs are laid singly on buds of the host plants. Caterpillars eat leaves and make a resting platform with silk and dung pellets. Flight: May-December in Mexico, probably all year in Central America, February and July-October in South Texas. Caterpillar Hosts: Leaves of shrubs and trees in the fig family (Moraceae). Adult Food: Nectar from Cordia, Lantana, and Croton. Habitat: Tropical forests, openings, and river valleys. Range: Argentina north through Central America to Mexico and the West Indies. A frequent stray to South Texas; rarely strays to Kansas and southern Florida. Comments: In the tropics this species experiences population explosions and mass migrations.